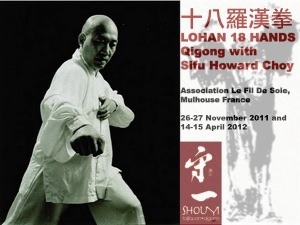 I wonder do you ever teach Qigong in London? Unfortunately I have no one to organize me to teach in London even though Berlin where I live now is not that far from London. But may be in the future. During July I have the opportunity of being in Berlin for a while. Is there a student (Sap Ba Lohan Quen) with whom I could arrange some private lessons? Living in the Netherlands, I know of no one nearby who does Lohan style. Thanks for your request, I don’t have a student in Berlin who can help you, but I will be in town after the 25th. July, if you are still around I can give you some private lessons.